This is not the Snack Pack Pudding cups you ate as a kid! And this is not my usual healthy version of my childhood favourite, this is the recipe I make when friends come for dinner and I want to spoil them. These mini pots of chocolate are perfect for prepping ahead of time - they need to set in the fridge for a few hours. Just before serving I add a touch of whipped cream, a sprinkling of shaved chocolate and the magic happens; one spoonful and your guests will love you forever. My in house taste-tester Gordy was hanging around - as you can imagine the spoons and spatulas I used were licked clean! This dessert will satisfy any chocolate craving. All I can say is decadent! 1. In a medium saucepan, heat the cream just until bubbles appear around the edge. Remove the pan from the heat, then add the chocolate and let stand for 1 minute, then stir until smooth. 2. 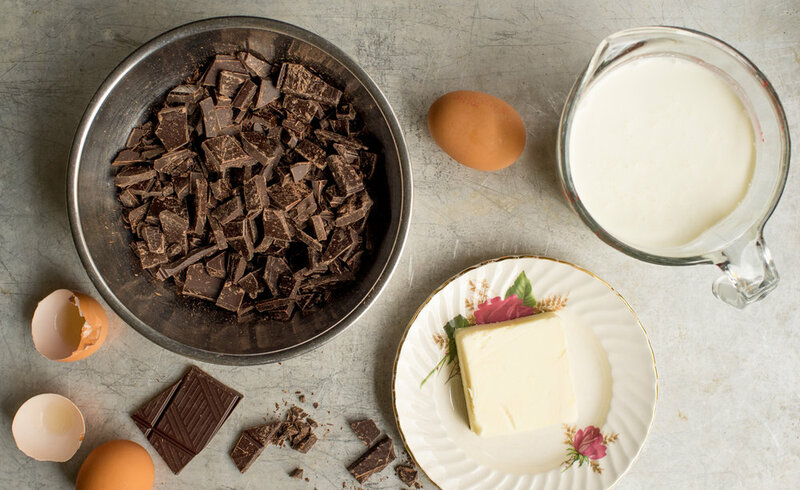 Whisk the egg yolks in a small bowl, then add in a 1/2 cup of the melted chocolate and cream and whisk. With a spatula scrape this mixture back into the saucepan with the melted chocolate and cream and whisk constantly until smooth. Once smooth stir in the rum and butter. 3. 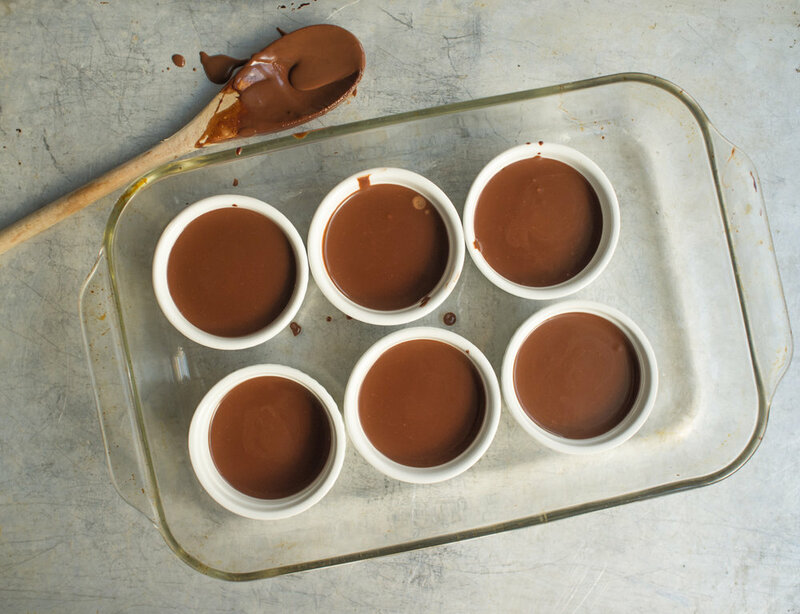 Pour the mixture into eight 1/2-cup ramekins and refrigerate until chilled, at least 4 hours. I used 70% dark chocolate, but use any bittersweet chocolate you like. 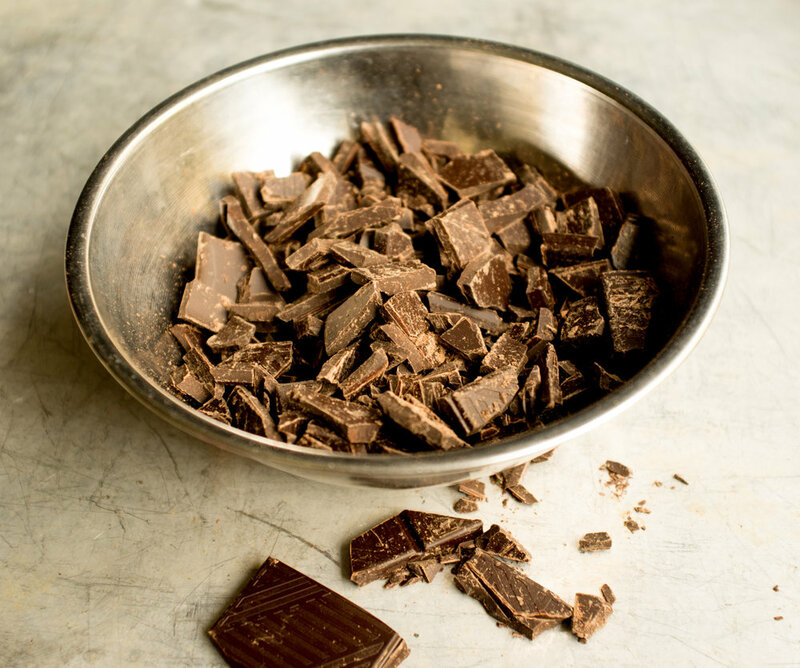 The chocolate pots can be made ahead and refrigerated overnight. These pots will keep for a few days in the fridge. Serve topped with grated or shaved chocolate and a spoonful of whipped cream.